The best free entry live music venue in Worcestershire. Having quality live music of every genre every Thursday, Friday and Saturday night from 9pm. There is also live music on occasional Sundays also from 9pm. 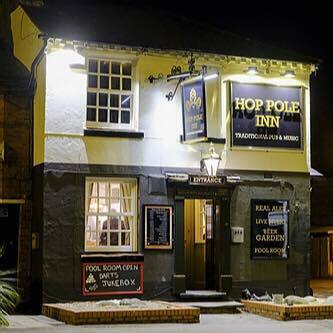 The home of OBJ ale, a light, hoppy ale at just £2.50 per pint. A great pool and games room is upstairs above the bar set up for anyone to use. The best pub garden in the town is well used during summer months and is used also for bbq and pig roasts.